7 x 17 3/4 x 1 5/8 in. This is part of an object that contains 5 parts: A: PCB USI M8270 B: PCB UBA Control Board M8271 C: PCB DWX1 VMD M8272 D: PCB UAI M8273 E: Backplane. 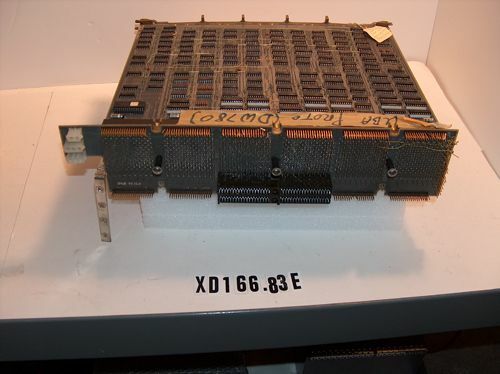 There is a piece of tape attached to the top of the backplane which reads "Rick Casav [illiegible] UVA Proto (DW780)"